Maestro Integrations understands that integrating technology into a business or home can create unnecessary stress. Our step-by-step consulting process ensures your comfort throughout any project. Let our team of friendly, knowledgeable experts take the hassle out of electronic systems integration. Experience the Maestro Integrations difference today! Separately a entertainment center, music system, security system, lighting control, climate control, and shade control provide convenience, comfort, and luxury to any office or building. United under a common control system, such as a mobile device, can alter the atmosphere of the entire building with one press of a button. We are more than just a box. We are more than just an installation team. We offer an experience. From the first meeting to discuss making your ultimate "smart" home a reality to creating your dream theater, you will delightedly notice our client care and workmanship. From the proposal, to the plans, to the final training materials, we provide extensive details to clearly define the project scope and to make sure you have a complete understanding of your system at every step of the way. You will never be left in the dark as we will have you updated and informed throughout the entire process. With your device, you can program a variety of lifestyle scenarios to fit the flow of your day. Create an “Away” setting that will set back HVAC settings and turn off all lights, music and TVs when nobody’s around. Program a “Party” setting that will set mood lighting and broadcast music through whatever rooms of your house that you desire. With a “Nighttime” setting, you can lower the temperature in your house without getting out of bed. When you are away, monitor your property with your mobile device. The possibilities are endless and entirely up to you. When we install an intelligent command center, you will have control over the functions and services of your home or business. You will feel like you are in control over your entire domain. 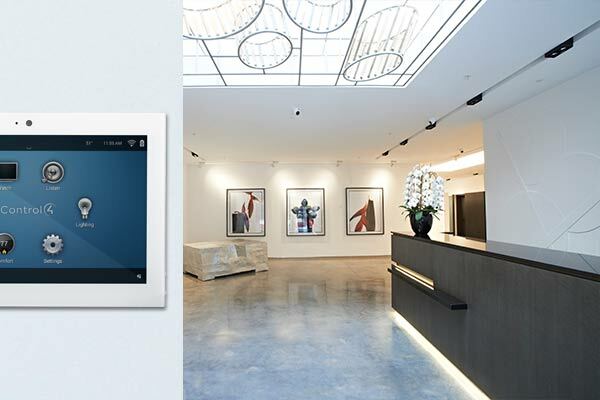 United under a common control system, an LCD keypad, color touch screen, or an on-screen TV interface can alter the atmosphere of the entire building with one press of a button. Today’s luxury vehicles offer amazing technological advancements. Imagine taking those innovations to the next level in your smart home. The integration technologies being developed are making our futuristic dreams come true today. We are able to protect your most valuable assets by equipping your building with a state-of-the-art security system. 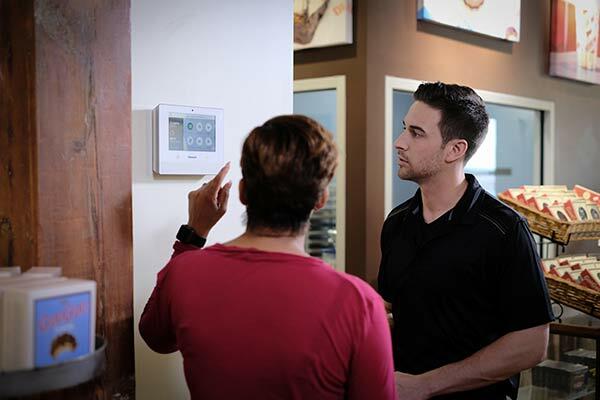 Our security systems are designed to provide enhanced safety, comfort, and convenience. We service the Greater Austin, Dallas, Houston, and San Antonio areas. We have been executing high-quality structured cabling projects for over 15 years. Let our expert teams assist you with all your integrating needs.